The Love Family of 5: Cake Cookies-Week 9! 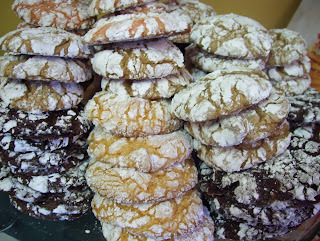 These cookies are really soft and chewy, a little messy because of the powdered sugar, but so worth it. These will definitely be going on my platters! The cake mixes we used were chocolate fudge, strawberry, orange and spice cake. I have a lemon to make and I want to try pineapple upside down. 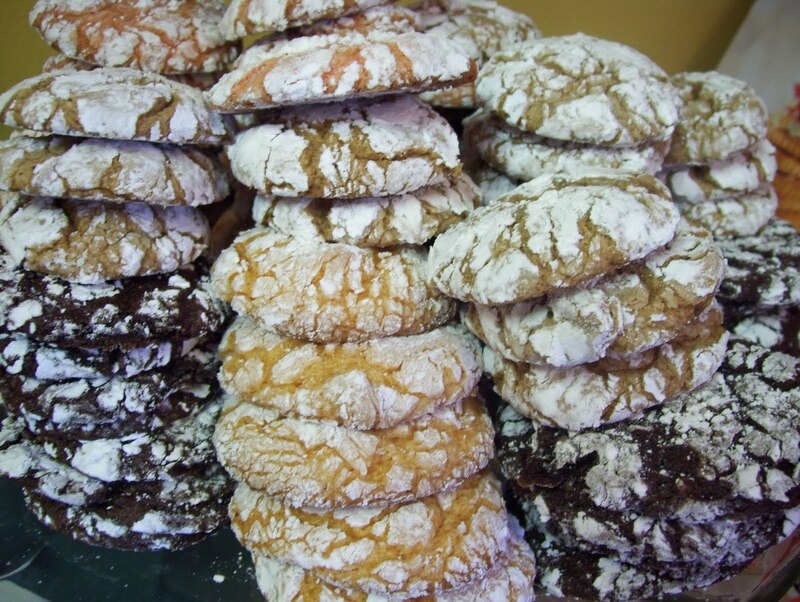 We are coming along with out 12 weeks of Christmas, we are at week 9 and have seen some really awesome cookies! Mix the cake mix, egg, and cool whip together until combined. This will be thick, but not so thick that you can roll it into balls. Put the powdered sugar into a shallow bowl. Once you mix the dough, put the scoops of dough into the powdered sugar and roll it to coat. You can shape it once it is covered with the powdered sugar. I bet these were/are really good. I love all the flavors and they amke a pretty cookie. Can you believe were at week #9? It was hard to fit in a cookie this week and you made four kinds! They look delicious! Oh how easy to make, I love the idea. Great variety! Just think of how far ahead you are with that many cookies made! I practically have none in my freezer because some people keep eating them all. What a wonderful cookie and easy to make. I love the idea that you can make all different flavors. This is a good one to put in the recipe file and use. What a great idea! This is going on my to try list for Christmas cookies.....very clever! Que ricas las recetas. Me gusta tu blog, creo que lo voy a seguir más a menudo. Saludos desde España. SO MANY COOKIES! Wow! They look delicious! Just want to know, What is cool whip, I haven't seen that in Australia.